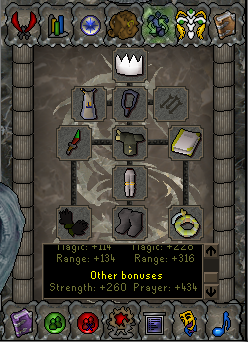 You can start leveling your prayer on the training area.. 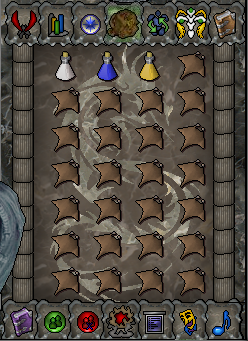 The Magic Cape you MUST wear, but make sure everything is pretty much the same, giving the best magic/melee bonus possible. For the inventory, all you need is a Strength, Attack and Defence Potion to Drink, and the rest can be taken up by mantas. Drink your potions and go in. Empty your dds spec bar on Jad, then just eat and hit him until the Healers come out. This is where the fast clicking skills come handy. When the Healers enter and start healing Jad, go to your Ancient Magics tab and use Blood Barrage on one of the healers, then you will notice that all of them will stop healing Jad and come after you.